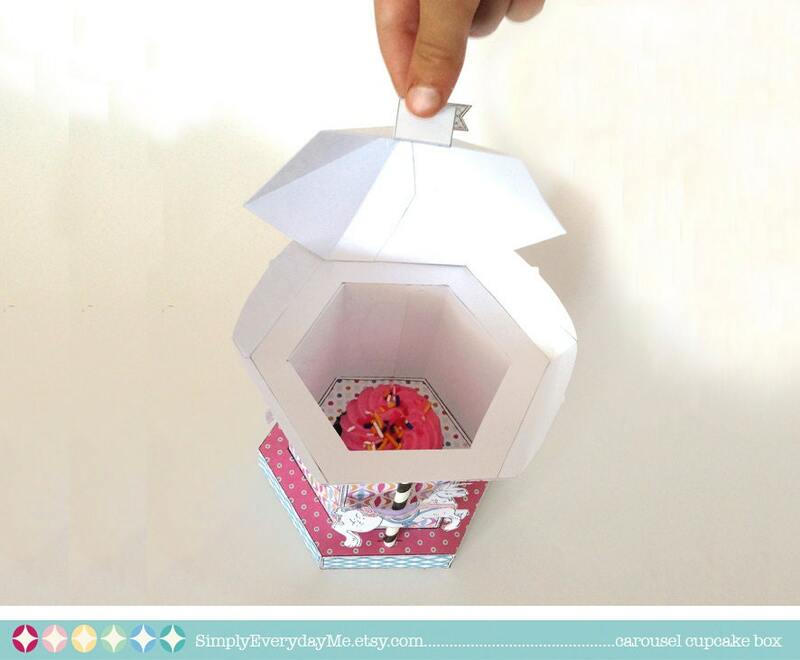 (¸.·´This Pink Carousel Merry-Go-Round Box is amazingly SUPER EASY to create. 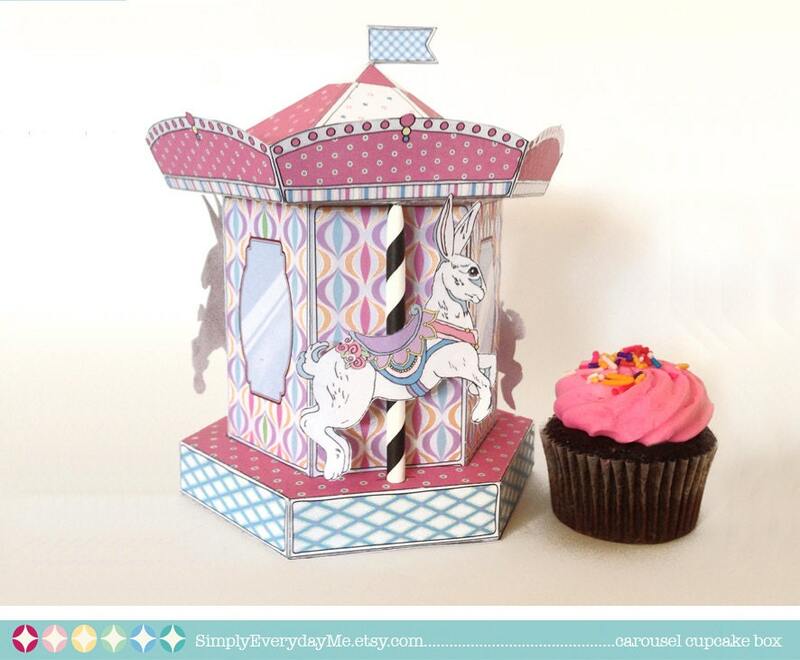 Included with this kit: Carousel Box ★ Choices of Animals - Horses - Bunnies - Geese ★ 3 Flag Top Choices (optional) ★ Cupcake Tray Bottom ★ Solid Inner Bottom for gifts & treats ★ Editable Flags for Cupcakes or Straws ★ SUPER EASY to assemble Full color step-by-step Instructions, plus Information for materials need & paper suggestions. When assembled box measures - 4 5/8"w x 4 5/9"d x 6 1/2"h (without flag 6"h). 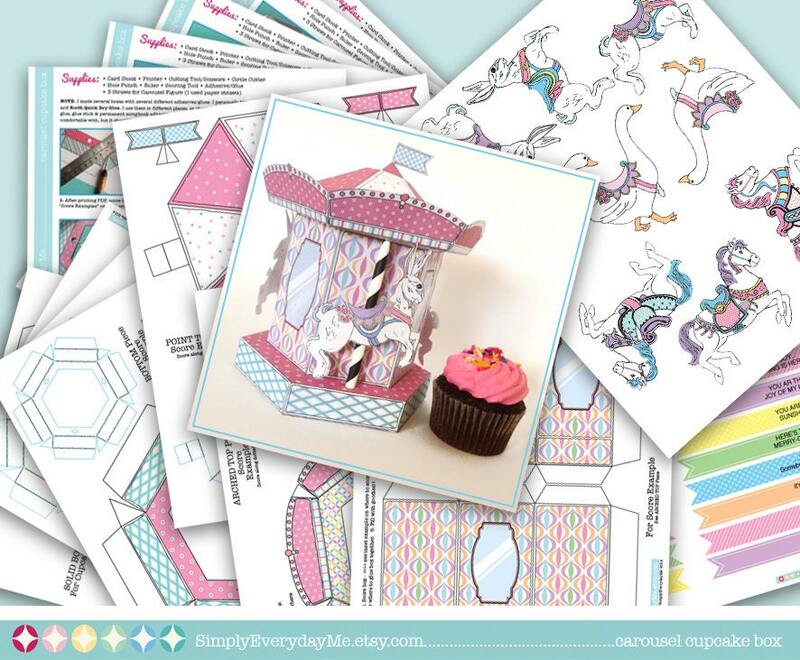 There are 8 pages for the carousel (7-color, 1 black & white) and 1 page for the cupcake flags. Instant. As described. Small but it can be tailored. 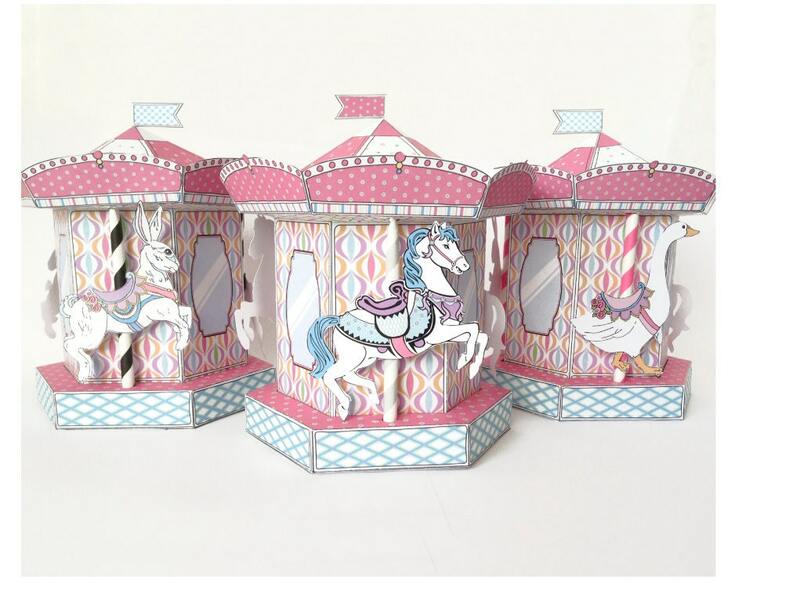 This carousel box is super adorable, and I am planning to use it as a gift box for a little girl's birthday. 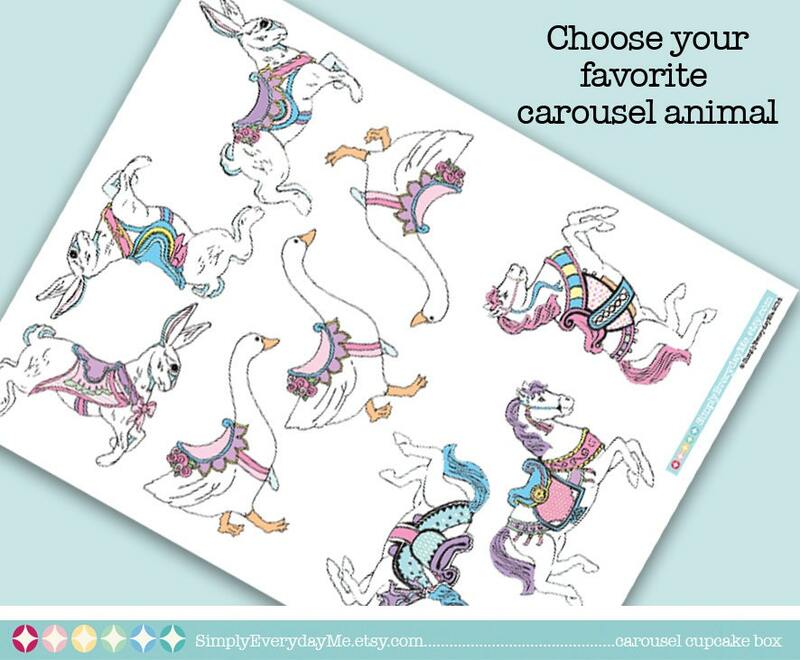 She will absolutely love it since she loves horses. I will definitely be a return customer!